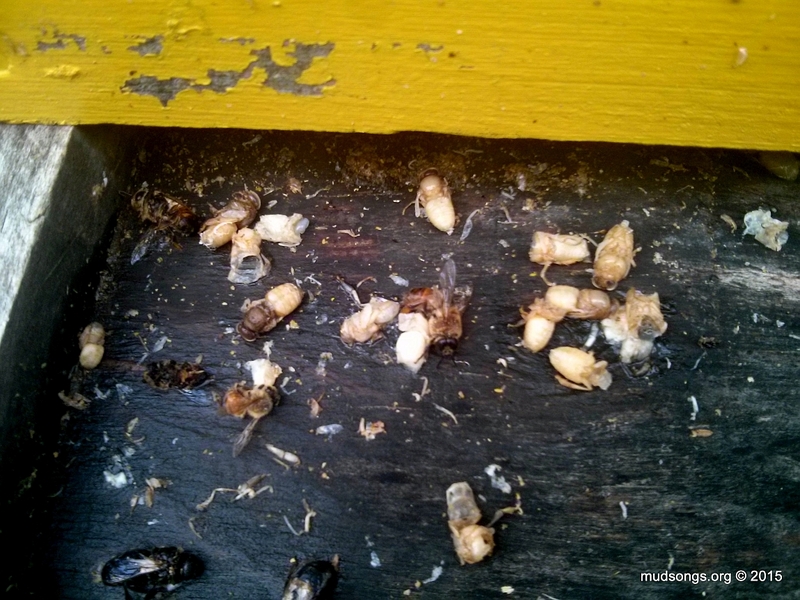 Chewing out and discarding drone pupae in the fall is a disgusting no-turning-back move for the bees. They’re absolutely done with drones for the next six months. I found these drone pupae today after two days of cold wind and constant rain. See my Expulsion of The Drones video for more information on this lovely phenomena. This entry was posted in Drone Brood, Drones, Month of September. Bookmark the permalink.